Valentine's Day is literally right around the corner. 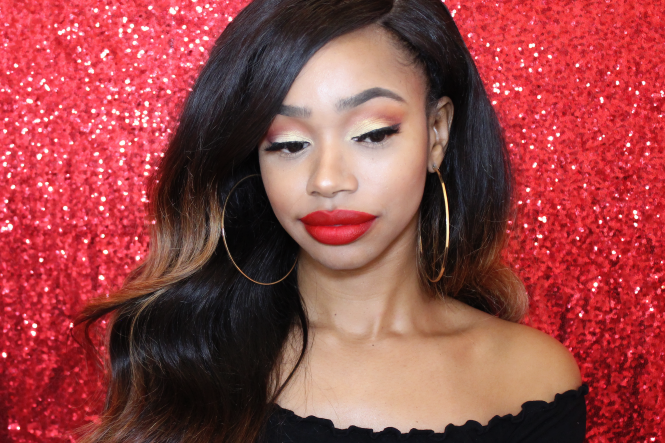 I thought it would be a great time to share some of my favorite red lipsticks. 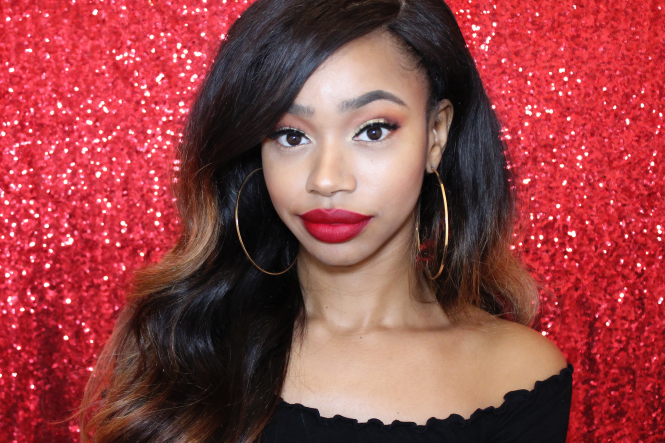 I'm sharing my favorite red ColourPop lipsticks from their Ultra Matte and Lippie Stix formulas. 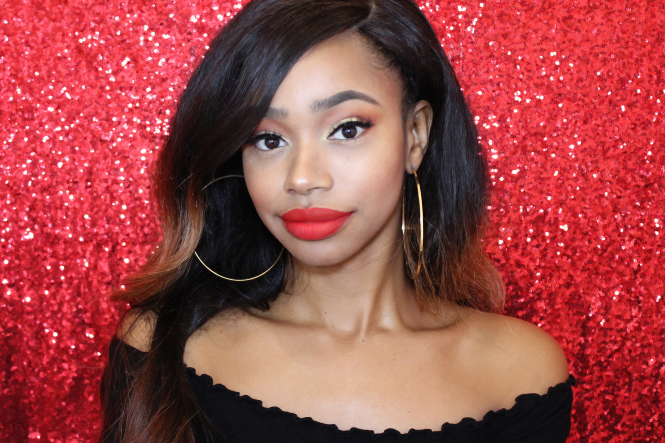 ColourPop Cosmetics has a great selection of red lipsticks. There is a shade for every skin tone. Don't Forget: You can click here save 20% off your first order with ColourPop! 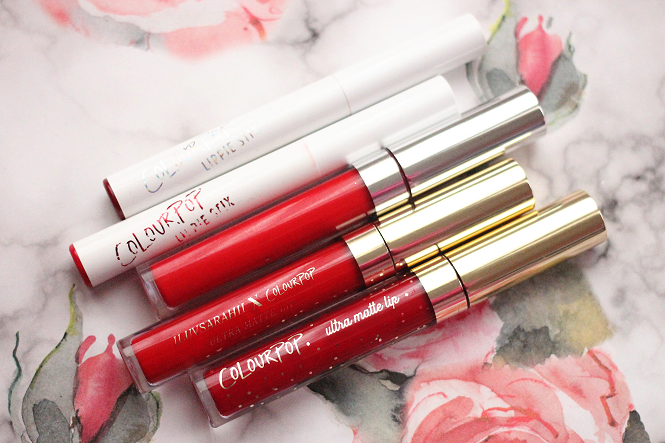 Shopping Tip: You can get $5 off your first ColourPop order by clicking here! 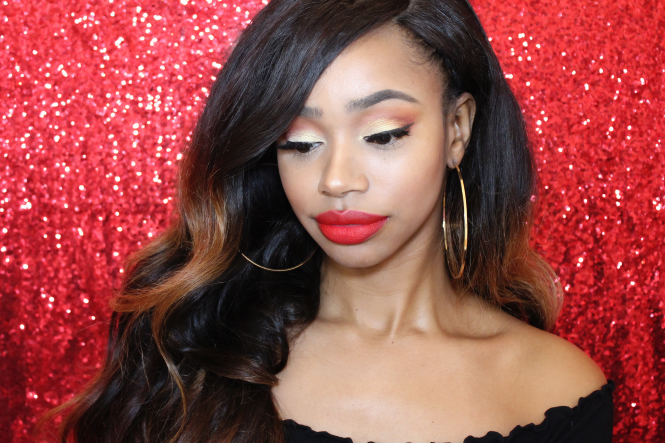 Be sure to watch the video to see live lip swatches of My Favorite Red ColourPop Lipsticks! 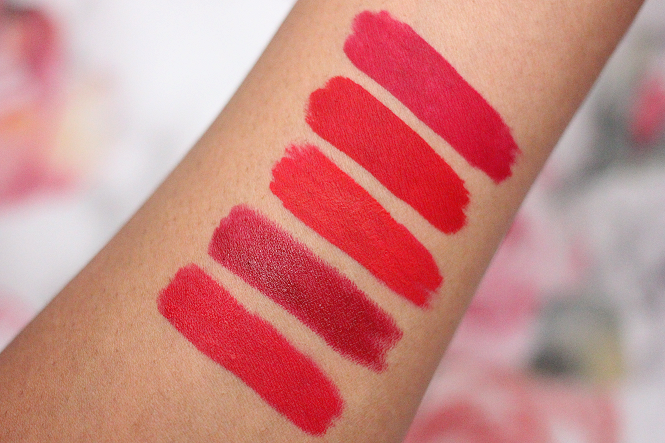 A comparison swatch of the red lipsticks from ColourPop! 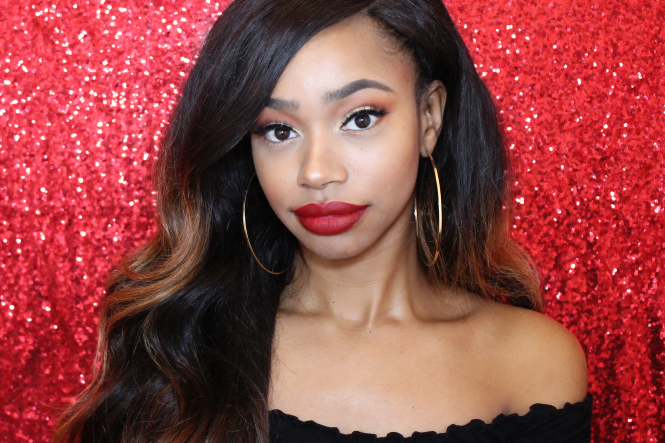 What's your favorite red shade from ColourPop? Disclaimer: This post includes an affiliate link. I will earn a small commission if you purchase through my link. I have seen very good review about this lipsticks. Thought, I don't have any. I recently did Spring make-up lessons so I need to practice a lot to improve my skill. I am thinking to purchase some shades, can you please suggest me some must haves for NC40?